The Center for Brain and Cognition at the University of California, San Diego has two distinct research agendas - a practical one and a theoretical one. Our practical agenda: develop new therapeutic approaches for the treatment of neurological and psychiatric conditions such as chronic pain, stroke, anorexia and childhood autism. Our theoretical agenda: understand the neural basis of perception, cognition, language, attention and memory. V.S. Ramachandran is the director of the Center for Brain and Cognition. The CBC was the first to show that mirror feedback therapy can powerfully reduce chronic phantom limb pain. Since then, dozens of studies have demonstrated its efficacy in treating phantom limb pain, complex regional pain syndrome (see a recently-published review), unilateral neglect, and paralysis resulting from stroke. The Indian magazine Swarajya recently interviewed Dr. Ramachandran about his life and his research with the CBC. New Scientist recently covered Dr. Ramachandran and CBC graduate student Chaipat Chunharas' research on calendar synesthesia, a neural phenomenon in which people vividly percieve months of the year laid out in visual space. Their findings were recently published in Neurocase. Dr. Ramachandran and CBC ‎postbaccalaureate researcher Zeve Marcus discovered that synesthetes experience an exaggerated version of the McCollough Illusion. Their findings were recently published in i-Perception. 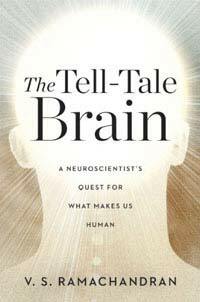 V. S. Ramachandran's latest book is The Tell-Tale Brain, an exploration of human uniqueness through the lens of behavioral neurology. In 2011, Time Magainze named V.S. Ramachandran one of the 100 most influential people in the world. New Scientist recently interviewed Dr. Ramachandran about research at the CBC. The Washington Post covered CBC graduate student Miren Edelstein's research on misophonia, a chronic condition in which typically innocuous sounds evoke anxiety or panic. Miren's findings were published in 2013 in Frontiers in Human Neuroscience.